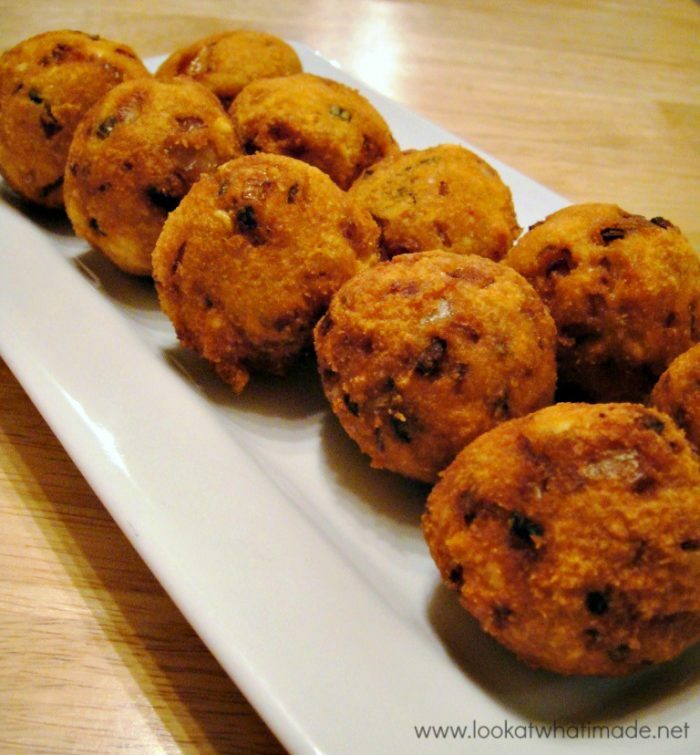 These Mauritian chilli balls are similar to falafel, but they are made from split peas instead of chickpeas. I made them for my mom when she came to stay and she loved them – as did my husband and I! Wash and soak the split peas in water. Anywhere from 3 hours should do it. The longer you soak them, the easier they are to grind. Drain the dholl and grind it any way you want to. The smoother the resulting “paste”, the better the balls stick together. I have made these with the mixture ground in a food mill (course) and the resulting balls fell apart as soon as they touched the oil. So I would suggest using a blender and blitzing the peas until they are very fine. Add all the other ingredients to the ground dholl and mix thoroughly. Shape the mixture into balls (not too small, not too big) and place them on a tray and in the fridge until you are ready to use them. Even if you intend to make them immediately, roll all the balls first and put them aside before heating the oil. It gets EXTREMELY messy if you roll the balls between frying batches. hot or cold inside a rocket-stuffed pita.